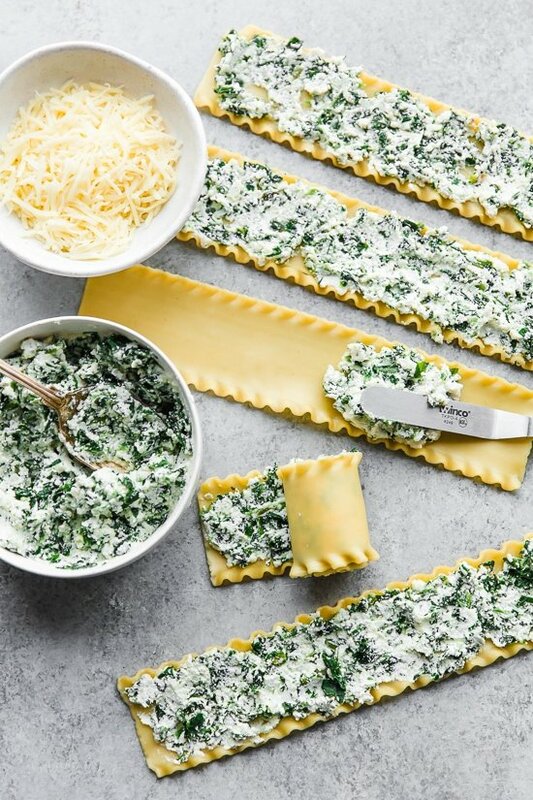 These EASY Spinach Lasagna Roll ups are totally delicious, perfect for entertaining or serving for weeknight meals. 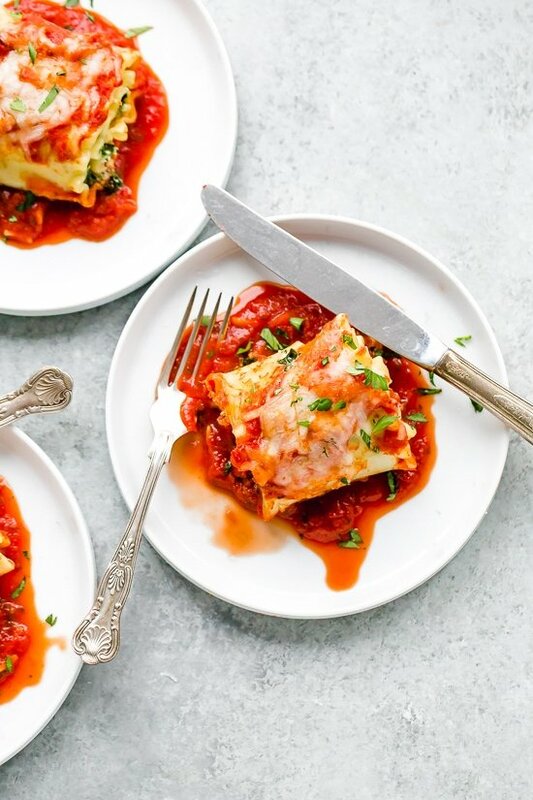 Individual vegetarian lasagnas filled with spinach and cheese are family-friendly, satisfying and perfect for portion control. It’s also a great way to get your kids to eat spinach and no one will miss the meat! I personally find one to be filling enough for me, served with a crisp green house salad on the side (the House Salad with Love from my first cookbook is my go-to!). My husband can easily eat two or three, so be sure to make enough! These are also freezer-friendly and easy to make ahead for the week for batch cooking. You can freeze them individually or casserole style. A great dish to bring to new Moms! Individually frozen – Follow the assembly directions but instead of preparing it in a 9×13 pan, skip to assembling the rolls and then flash freeze them on a cookie sheet. Once they are mostly frozen (30 minutes to 1 hour), place them gently in a freezer bag and freeze. 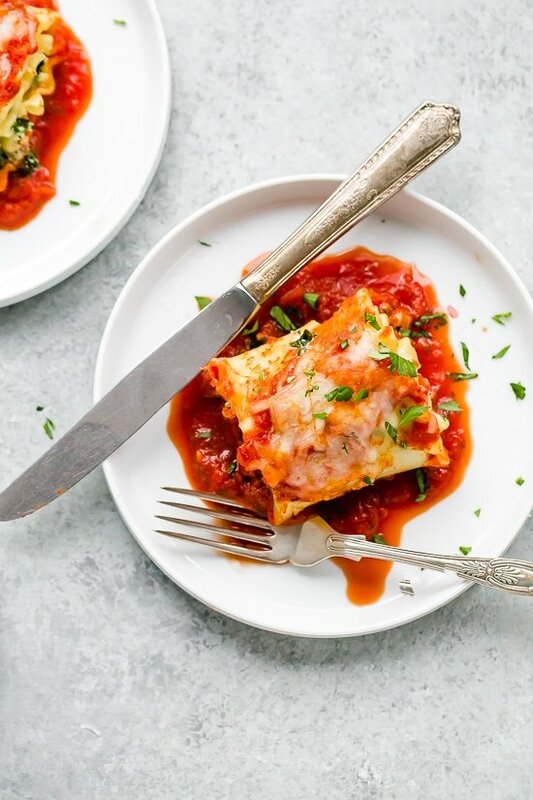 To serve: Place 1 cup of tomato sauce in the bottom of a 9×13 pan (or adjust if making a smaller portion), place frozen lasagna rolls in the dish. 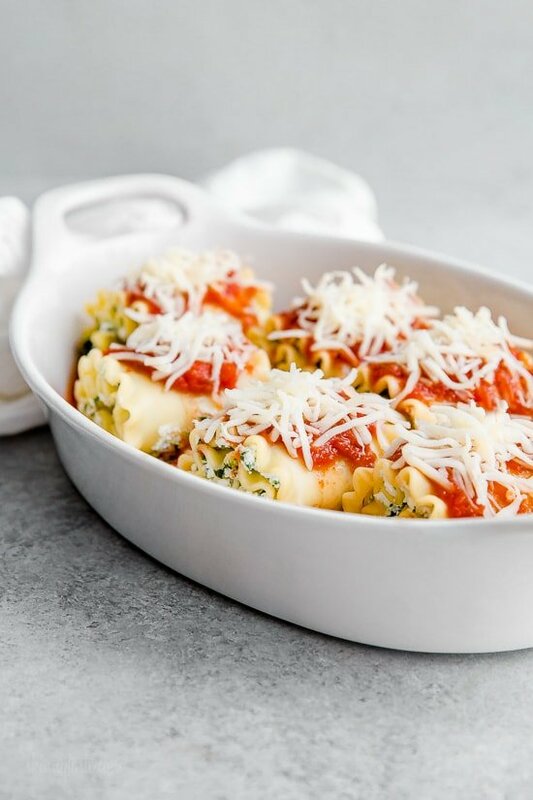 Ladle sauce over the noodles in the baking dish and top each one with 1 tbsp mozzarella cheese. Put foil over baking dish and bake at 350F for 60 minutes (1.5x the originally listed bake time), or until cheese melts. Casserole-style freezing – Follow the assembly directions completely but do not preheat the oven. Once covered with foil, instead of baking the dish, place it in the freezer to freeze. To serve: Thaw in the refrigerator for 36-48 hours before serving, and follow the baking directions exactly. OR leave frozen and bake dish for 60 minutes (1.5x the originally listed bake time), or until cheese melts. 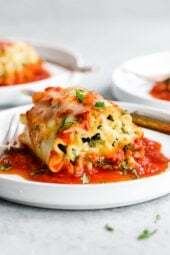 These EASY Spinach Lasagna Roll ups are totally delicious, perfect for entertaining or serving for weeknight meals. Freezer friendly. Preheat oven to 350°F. Ladle about 1 cup sauce on the bottom of a 9 x 12 baking dish. Cook noodles according to package directions, then drain. 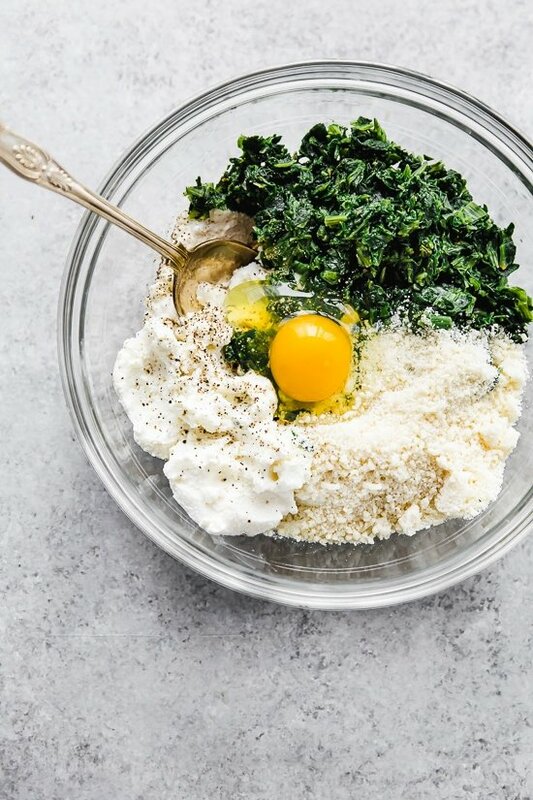 Combine spinach, ricotta, Parmesan, egg, 1/2 teaspoon salt and black pepper in a medium bowl and mix. Ladle remaining sauce over the noodles and top each one with 1 tbsp mozzarella cheese. Put foil over baking dish and bake for 40 minutes, or until cheese melts. Makes 9 rolls. Very good. My wife and I love these. I use fresh spinach instead, and a little more parmesan but other than that, I follow the recipe exactly. A smaller dish is helpful, when I made it in a 9×12 is was a little small and resulted in some burning. 9×9 seems to work better for me. But I’m sure it depends on your noodle size. Anyways, thank you for the recipe! We love it! Can I freeze this after baking? Can you cook these in the instant pot?! I added feta cheese to the filling. Yum. I love this recipe and have been making it for at least 4 years now. I use fresh spinach and saute with fresh mushrooms. I also add a few red pepper flakes to the mixture for a little kick! Thank you Gina for all of the great recipes…I use your website for meal planning more than any other. thank you gina for ur recipe! made this for the christmas party at my job. what a hit!!! everything was gone by 3pm and gave them the recipe. i make my own meat sauce and also included shells (stuffed them also) with the roll ups! wow, wow, wow!!! Deeelish!! Will definitely make these again! These are amazing! I forgot the egg and didn’t even notice it in the look or taste. Only realize when I looked at the ingredients. Added a little italian seasoning on top. So good and easy! Disappointed that it made only 5 rolls, not 9. Followed the recipe to a tee. Glad I wasn’t making it for quest. The were good however. Mine made only 7 using exactly 1/3c per noodle. It worked out because 2 of my noodle tore, but I’m not sure how people are stretching it to 9 portions. One of our favorites. We always make a pan for dinner and freeze another for later. So quick and easy. Well, Gina, you did it again!!! This recipe was amazing!!! I made for a dinner party last night and was a little nervous as it was a new recipe for me, but WOW was it amazing!!!! I have lots of leftovers and can’t wait to have more:) . I also added some spiced up FF ground turkey for a little protein and that was a nice addition. Your marinara sauce was excellent too!! You make it SO easy to eat healthy, THANK YOU!!! Did you add it in the sauce or add the meat in the rolls? Does the nutrient information for the actual “spinach lasagna” account for the marinara used or do we need to add the nutrition information for that separately? Yes, the nutrition info includes everything from the ingredients listed. Here I used my homemade marinara sauce. If you are using a store bought marinara, it may be a bit different. You can click the link under ingredients to compare nutrition facts. How far in advance can you make this and can you freeze it? These were surprisingly easy to make with a beautiful presentation and tastes devine! The entire family raved about them. It’s hard to have just one but I’m looking forward to my lunch today! 🙂 Note: I added a bit of garlic and onion powder for additional seasoning as I was concerned about them being bland. It was a good add. 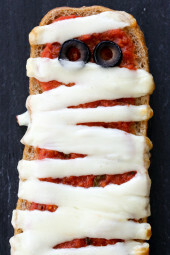 Has anyone substituted the ricotta for low fat cottage cheese? I haven’t for this recipe, but always sub out the ricotta for FF cottage cheese in my regular lasagna and its delicious. I would be curious to know about this as well as that would cut some calories/fat/points off!! I’ve made this many times. Easy and yummy. The quick marinara is my go to, too! These are amazing. Im doing my daughters wedding, and thought these would be a great touch. So I made a batch and wanted to freeze the leftovers ( to see if they would still taste good, and if I could make them up ahead of time, for the wedding). I froze them in two batches. One we had in two weeks, the other in two months. I added more sauce before heating them up, and they tasted just like I made them that day! Excellent recipe! Hi, Gina! I love all of your recipes! I make them almost every night of the week! I would love to try this or many of your other Italian recipes but my husband is lactose intolerant. Do you have a suggestion for a substitute for the ricotta? I’ve heard cottage cheese but he can’t eat that. Would cream cheese work? Same ratio? Thanks! I’ve made these many times over the years but am just now making a big batch to freeze extras. I’m wondering if I can vacuum seal the rolls after flash freezing or if I should just stick to a freezer bag? Delicious!Made the noodles myself as we don’t have these beautiful lasagna noodles you used. I cooked them for about a minute and did the rest as mentioned in the recipe. Juicy, hearty, flavourful, brilliant! I have made these with grated zucchini and with chard and we love both kinds. This is a great technique and I love the versatility. Will be trying this next with arugula from my garden. Thanks, Gina! This recipe was delicious! I added about a tablespoon of Italian seasoning and a 1/2 tsp garlic powder to the spinach/cheese mixture. Will definitely make again! My first recipe from skinnytaste….Loved it! Am doing Weight Watchers so LOVE that WW points are included. 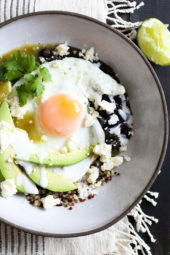 Made two other skinnytaste recipes that were also awesome Love that I have found this site full of woinderful, healthier recipes. Cant wait to try more. Family enjoyed it and asked to put it on the make again list! I love this recipe! The fact that you can freeze for later lunch or dinner and using spinach that I love! We love making these lasagna rolls! They are delicious and make great leftovers! Absolutely loved this recipe. Made them the night before and let them sit in the sauce and baked them the next night. I think it worked better leaving them in the fridge overnight because it ensured the rolls wouldn’t come apart. I will definitely make this again! I made a variation on these with pesto mixed with ricotta (since I didnt have spinach on hand) and WOW they were amazing! Another great recipe! This recipe is delicious and so easy to make. I will probably add more sauce next time I make them but that is my only tweak. Thanks for a great recipe! This is phenomenal! I substituted sour cream for ricotta since I’m not a fan of ricotta’s texture and used fresh spinach since that’s what I had. I blanched it in hot water and chopped. I also used jarred sauce. For a meatless dish this is truly fantastic! What brand of wheat lasagna noodles do you use? The only wheat I could find were so small! Had to make 12 small rolls and they are 5pts each. delicious recipe! simple, and doesn’t require a lot of time….thank you for sharing, we just love your recipes!! These were super good, and easy to make! These were supper good, and easy to make!!! I made this years ago and loved it but now have a family member with egg allergy to contend with. Would the filling hold together ok without the egg? Yes I forgot the egg and it held together perfectly. Delicious! Easy to make, though time consuming. I forgot the egg (oops) and it turned out just fine. I also added a little ground pork that had been stuck in our freezer. I don’t think the pork added much to the dish and overall wasn’t worth the calories. There also wasn’t a overbearing spinach flavor which happens frequently with frozen spinach. You should totally give it a try! Can you use no boil lasagna noodles? I haven’t tried it..let me know if you do. I tried it and it doesn’t work. I ended up making spinach lasagna. I would love to find regular gluten free lasagna noodles not the no cook ones. Oh my goodness. These are absolutely delicious. I don’t even like Ricotta, but I used it and combined with fresh mozzarella instead of pre-schredded and hand grated parmigiano regguano. And, I made my usual home-made marinara sauce. Amazing with a salad for dinner. Thank you for reimagining food to be so tasty with less calories. Just made this recipe tonight & loved it! My first Skinnytaste recipe and I’ll definitely be trying others! Only thing is when I inputted the nutrition info in the WW app, it came out to 8 points. I have made these before in the oven and they are YUM. But now I am making and freezing them, and trying to adapt it to make individual servings in the air fryer for myself. Any suggestions on temp and time for the air fryer? I want to make EVERYTHING in my air fryer now! Thanks! I’m planning on making these tonight. When I put the nutrition facts into my weight watchers app it comes up 8 points but you have it listed at 6. Just wanted to let you know. I get 8 points as well when I plug it into the recipe builder. Only way to get it down to 6 is to use fat free ricotta and fat free mozzarella. I compromised and kept the part skim ricotta but used fat free mozzarella to bring it down to 7. Sister made these last night and raves about them. Can’t wait to try it out tonight! Made them last night…added cooked and chopped chicken breast which now that chicken is 0 WW Freestyle points now it doesn’t add anything to the already low points per roll…so delicious! Has anyone used FF ricotta? I’m assuming that if you can freeze these it’s ok to make these the night before and keep in the fridge to pop in the oven the next day?? 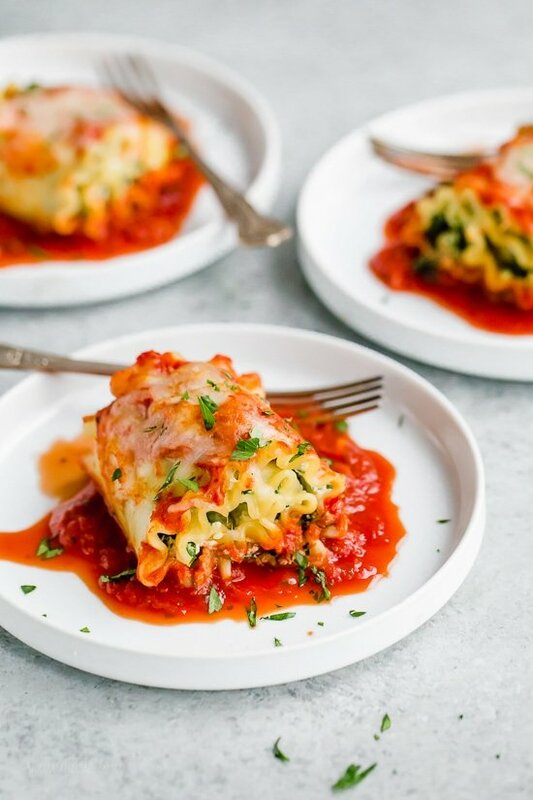 These are a huge favorite in our house as they are easier to portion than regular lasagna. I usually add sausage & mushrooms to the sauce. My wife made these for dinner Friday night. Delicious. Great leftovers too! Great recipe! Easy to make, and delicious. Will make again! Another 5/5!!!! Even my picky husband who despises everything green ate 4 roll ups!! Thank you Gina! I made this recipe for dinner tonight and the Spinach Lasagna Rolls are indeed delicious, but I would take issue with the all caps word “EASY.” After more than an hour of prep time (including thawing, draining, and drying the frozen spinach) I finally put them in the oven for 40 minutes’ baking time. My idea of an “easy” recipe for weeknights is something that requires 30-45 minutes start to finish. I wondered if there is a way to use fresh spinach instead? I also used Paul Newman marinara sauce from a jar, which my family thinks is just as tasty as homemade sauce.I use Skinnytaste recipes often, and this is my first review. I had enough left for another meal, so perhaps the “EASY” description will come into play when I reheat or microwave the remaining rolls! 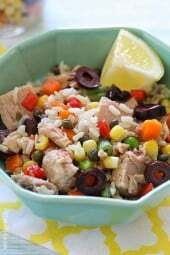 This recipe is fantastic and perfect if you are mealpreppnig for the week. It’s time consuming but the yummy-ness that comes from all that hard work is well worth it! These are the best! I make them almost weekly and they are delicious and filling. Had this tonight and as always with Gina’s recipes, I was blown away! This is so delicious and I did not miss the meat at all. Very happy to add this to my list of go to’s and even happier that it is meatless. Thanks again Gina – another hit! This recipe is so easy and results are fabulous. Followed it exactly. No need to deviate. Used jar sauce that did not list sugar as an ingredient and had the same calories as Gina’s home made sauce. I would even cut the noodles in half before stuffing and rolling them for a wonderful appetizer. Just GREAT, would definitely make again and again. P.S. I am a real Italian who is very familiar with great home cooking. Plus, Dad was a chef. Can’t go wrong with this one. Can I make these ahead of time and stick them in the fridge until ready to bake? SO amazing! This 100% filled my lasagna-craving. I added a little bit of lemon into the filling to see how it would go and I was a fan! Thanks Gina! I forgot to put egg in my mixture. Will it become runny? Probably too late for this reply, but nope! Turned out just fine (and delicious). We’ve been making this a few years, always a hit! Sounds delish for this weekend. Can I use fresh spinach? I’ve done it with both, and both work, but frozen spinach is a lot easier. You would need to cook and chop the fresh spinach to get the same texture as the frozen. I’ve used the Pampered Chef chopper to finely chop fresh spinach spinach for this recipe and it works great. How do you roll an uncooked lasagna noodle? I would love to freeze these, but can already thawed spinach be refrozen without being cooked? Or should I use fresh spinach if I want to freeze them. Do you need to cook it or just put it in raw? These look wonderful, will be making soon. Can you tell me what kind of plate you are using? I would love to replace mine as they are all scratched. Thanks! I can’t wait to make these! Can they be assembled a couple of hours before cooking? Thanks! I forgot to add the egg and it turned out delicious. Hello! Can these be made ahead of time (night before)!? Can anyone answer this…whether or not these can be made the night before? You should be able to make them the night before then reheat and serve! They may even be better as lasagne seems to always be better the next day as flavors blend and become richer. Have you ever frozen these? Think it would work? I freeze this exact recipe all the time!!! They turn out delicious!! I also freeze some extra meat sauce and add it on top. YUMMMM! At what point in the prep process do you freeze? TIA! Sounds delicious! I am planning on making it this week! Sodium? I have high blood pressure. These were amazing! I did add a sprinkle of parsley on top to add some more color! Super delish! Definitely a keeper. ? I’ve made a variant of these my entire cooking life so I feel I can answer this. Yes, you can absolutely prep everything, leave them in the fridge and then cook the next day. This was so good! And easy to make. Thanks Gina! Great recipe! I added minced iltalian flavored chicken sausage to the sauce since my husband requires meat and it was delicious! I also used our regular spaghetti sauce with some Italian seasoning added. I will be making this again with an extra dish to freeze. I used whole grain lasagne noodles and it was perfect. I also used fresh spinach and added 3 garlic cloves. Perfect! I cannot eat spinach. What would you suggest as a substitute? Any leafy green veggie would work.